The Event Technology Awards (ETA) is the world’s largest and most prestigious award program in the event tech industry. It distinguishes top innovators and the most influential event technology leaders every year. 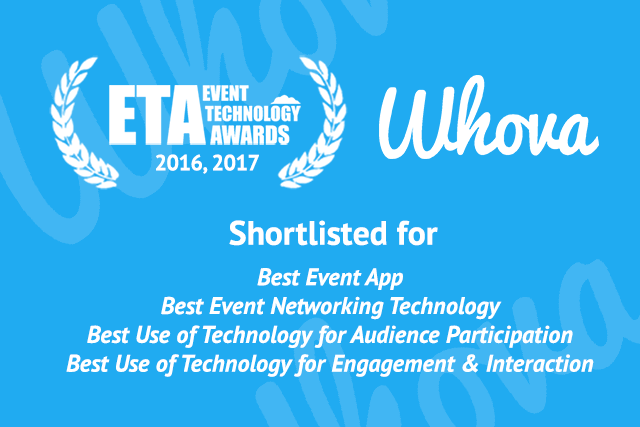 In 2016, Whova won the Best Event Networking Technology Award from ETA. App adoption is important as it directly affects an event’s ROI. If only 30% to 40% of attendees use an event app, it’s hard to expect to be able to effectively engage attendees and increase interactions through the app. In this case, the event app stays as a “nice-to-have” mobile brochure, but contributes nothing more to your event. The Whova event app, on the other hand, consistently shows a 60% to 95% app adoption rate because of its broad range of engagement, interaction, and networking solutions that work with with just a minimal amount of effort from organizers. 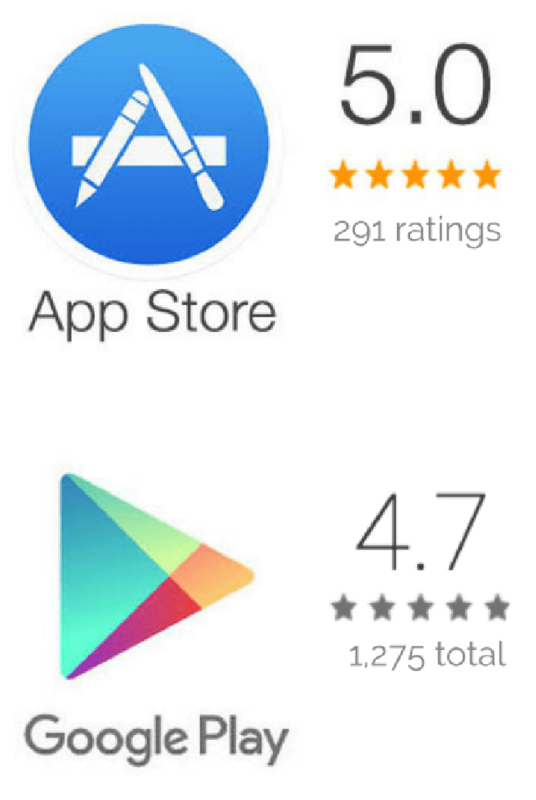 Plus, Whova has the highest ratings both in the App Store and Google Play and has been loved by attendees and organizers as shown in their reviews. Organizers can also engage attendees through Whova’s efficient announcement system which on average results in a 75% in open rate. This is much higher than using email alone, which only has a 21% open rate. Whova’s Bulletin Board is a favorite of organizers and attendees alike, as they can share useful information such as lost and found items, ridesharing, local attractions, job or business opportunities, and many more. It boosts attendee interaction in an organic way and fosters connections that may otherwise be missed. Organizers of expos and trade shows can maximize opportunities for their exhibitors to virtually engage attendees, increase booth traffic through various promotional opportunities (like coupon/raffle/giveaways on the app), scan name badges, and retrieve leads — all through the Whova app. This stellar service helps organizers attract more exhibitors and make them happy to ensure they keep coming back year after year. Attendees are happiest when they can participate in various event activities in organic ways. Whova’s Live Polling helps organizers capture attendees’ attention through thought-provoking questions while effortlessly collecting feedback in an efficient manner. The Live Event Slideshow and an easy gamification such as photo contests help make events more exciting while increasing attendee participation and satisfaction. Whova’s award-winning networking solution advances the traditional way of event networking of putting people in one place and hoping that it will work itself out. Instead, attendees can explore rich profiles of fellow attendees and conveniently schedule one-on-one meetings through Meeting Scheduler prior to an event. Going beyond one-on-one messaging, attendees can create private groups for chatting, digitize paper business cards through a built-in business card scanner, and exchange their own card with others through the app. Whova’s mission is to help you save time managing tedious event logistics and effectively create an engaging events. Revolutionize your event networking, engagement, and management through Whova’s award-winning technology. To learn how our latest technology can help your next event, please contact us at hello@whova.com or request a demo. We would like to thank our loyal customers and countless Whova users for their continued feedback and support. It is always our pleasure to see how our Whova solutions can help busy organizers create engaging, exciting, and productive events more easily than ever before.